Beautiful 3 bedroom and 2 bath home in the county that has a lot of charm and style with cathedral ceilings. Newer construction house built in 2005 that features a split bedroom plan and the open living area that is sure to please. Master bedroom features a nice walk in closet and master bath. Chair railing in dining area, large laundry room that opens to double carport, and fenced in backyard for the animal lovers. 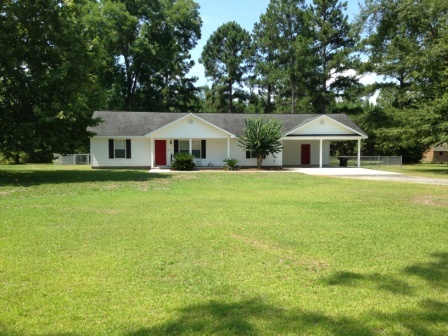 5105 Alma Highway, Waycross, GA for $109,900!! DIRECTIONS: Take State Street north and turn left at the Jamestown fork onto Alma Highway/US 1. Travel a few miles and home will be on left. Look for sign.